Blowout Sale! Free Shipping Included! 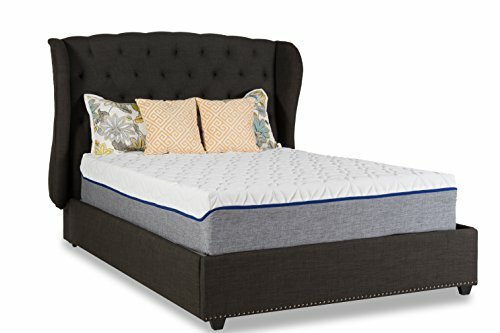 Save 61% on the Mattress America Revive Gel Memory Foam Mattress, 12'' Full by Mattress America at Silence Is Sedition. MPN: Revive. Hurry! Limited time offer. Offer valid only while supplies last. Revive Gel Memory Foam Collection has been designed using our advanced Gel technology that Sleeps Cool to maintain balanced body temperature. Revive Gel Memory Foam Collection has been designed using our advanced Gel technology that Sleeps Cool to maintain balanced body temperature. Combining the benefits of gel with our ventilated, open-cell design, Revive gel memory foam is 8 times more breathable than other nationally advertised memory foam products. It is also more supportive, as millions of Gel beads gather in areas that need it most for additional support and personalized pressure relief, creating cooler, better, more supportive sleep. Revive mattress is made using high density Certipur Certified for no harmful chemicals. The superior durability of this high quality design is backed by our industry leading Lifetime Warranty. 12 inch cool gel infused memory foam mattress keeps you cool at night and still gives you the support you will need night after night. 3 inches of gel memory foam, 2 inches of our unique design air flow sculpting foam. This is ideal for airflow and support. 7 inch base foam, this support foam will not let you sink in far enough into the mattress. It offers support for your back, shoulders and hips. This premium memory foam mattress is made of the highest quality visco elastic foam available. It has been machine rolled and compressed for efficient delivery. This will not affect its performance, but it may require 24 to 72 hours to regain the first 8 inches and up to 2 weeks for a full 12 inches. If you have any questions about this product by Mattress America, contact us by completing and submitting the form below. If you are looking for a specif part number, please include it with your message.